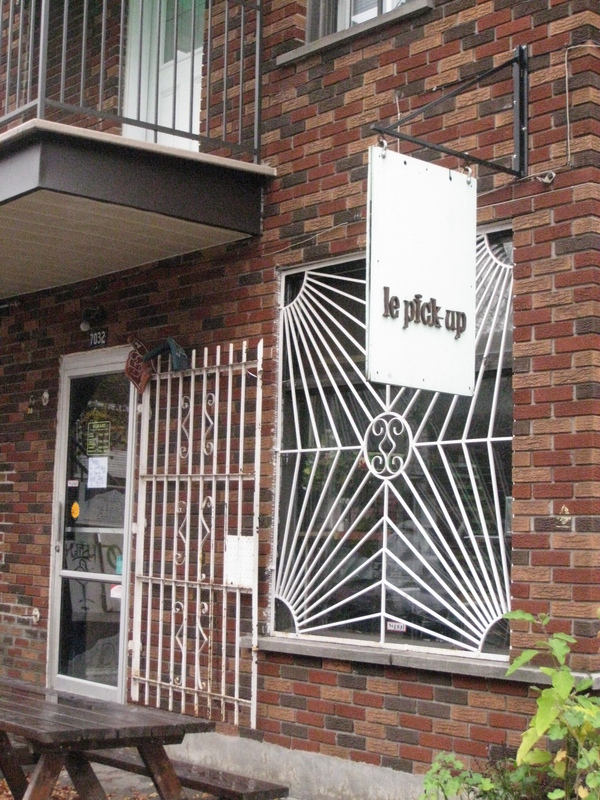 I decided to go to Depanneur Le Pick Up for brunch before heading to Jean Talon Market and touring Little Italy and making my way to Mile End and Little Lisbon. Depanneur Le Pick Up is on a residential street, if you didn’t know where to go, you’d almost miss it. It’s very unassuming. Inside it’s a convenience store and a diner. There’s afew tables and a bar where you face the grill. They serve water in a Perrier bottle. The people who work there are all very nice and friendly people. 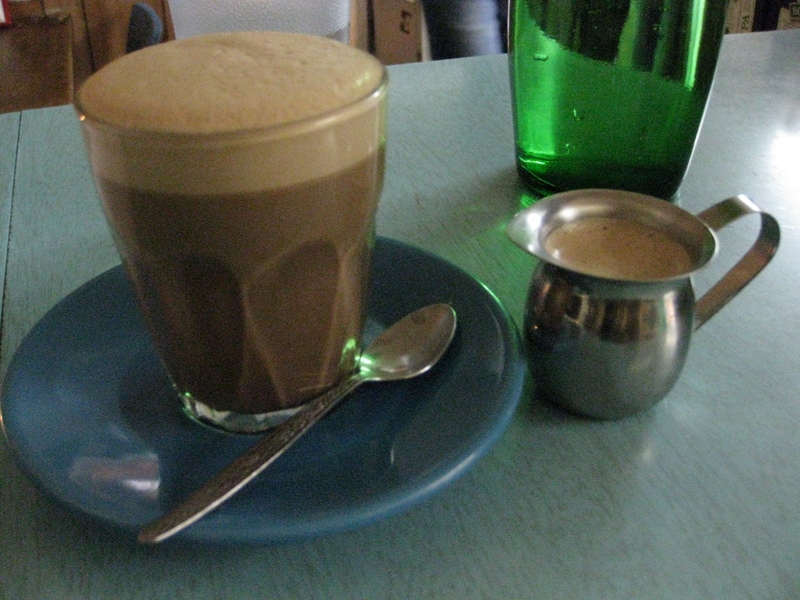 I ordered their daily special, Madame Croque ($8.25) and a moccachino ($2.85). 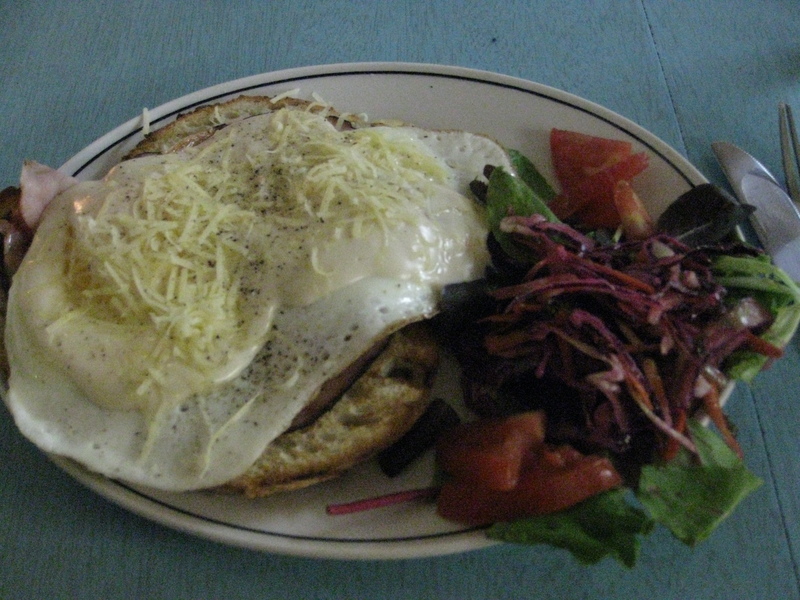 Madame Croque is comprised of ham, gruyere cheese and bechamel sauce with an egg on toasted bread and a small green salad. Bechamel sauce is white sauce so it’s made with butter, flour and milk. It was delicious. The portions were large, at least it was larger than I expected. The eggs were sunny side up so they were runny which is the way I prefer my eggs in a sandwich. I felt that the cheese was decoration rather than a substantial part of the dish. The bread was perfectly toasted and had a nice crunch to it. The salad was nice. 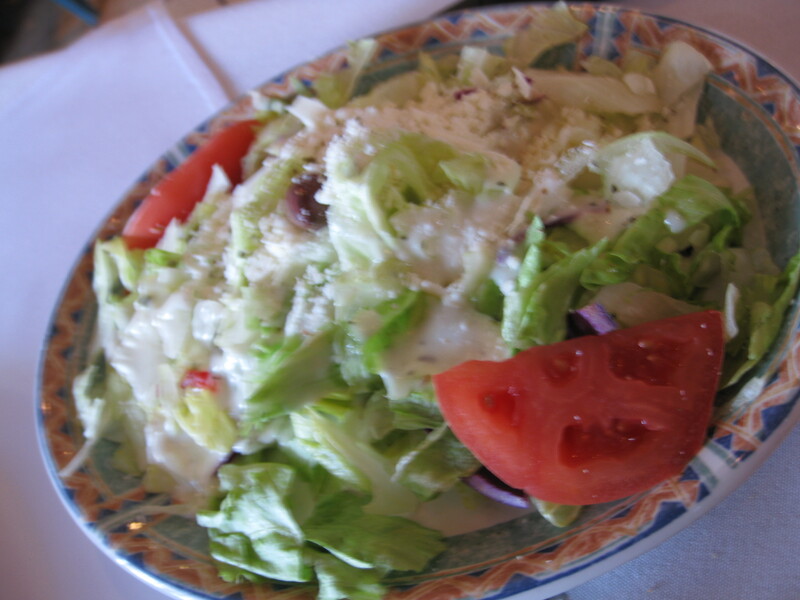 The ingredients were fresh and crisp unlike the pre-made store-bought salads from grocery stores. I really enjoyed the dish. The Moccachino was dark with a hint of chocolate. It was very nice. Overall, if you’re in the area, I would definitely recommend this place for brunch. My foodie friend in Montreal emphasized that I should have brunch at l’Avenue before I leave Montreal so on Sunday I went to l’Avenue and lined up for nearly an hour for a table. The decor is funky and there is a DJ spinning tunes. The washrooms are very interesting. The servers are also very nice and helpful. If you can’t read French, a word of warning, their menus are only in French. They don’t have any English menus at this particular restaurant. 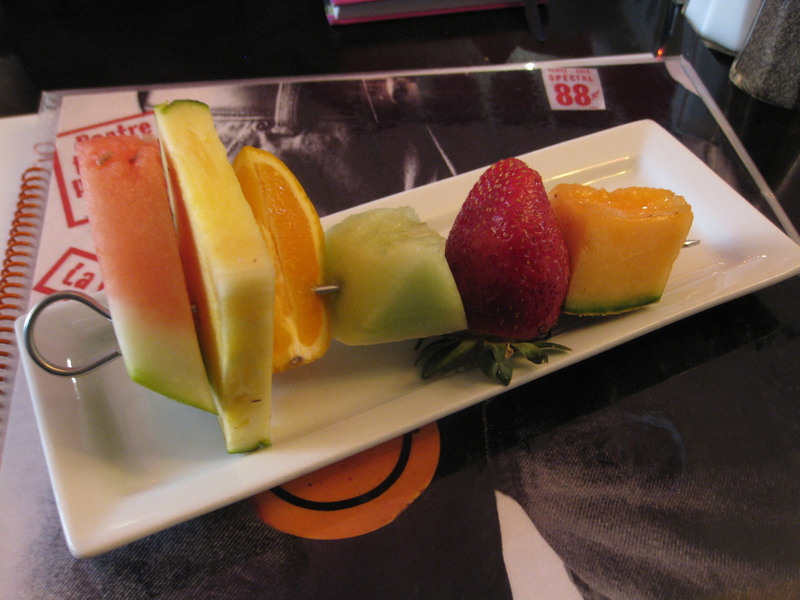 You’re provided with a complementary skewer of fresh fruit slices. You get a slice of watermelon and pineapple. You get a wedge of orange, cantaloupe and honeydew. You also get a whole strawberry. The fruit slices helps with the meal, especially if you order any of their eggs Benedict. I ordered the Benedict Berceau ($16.49 including tax). 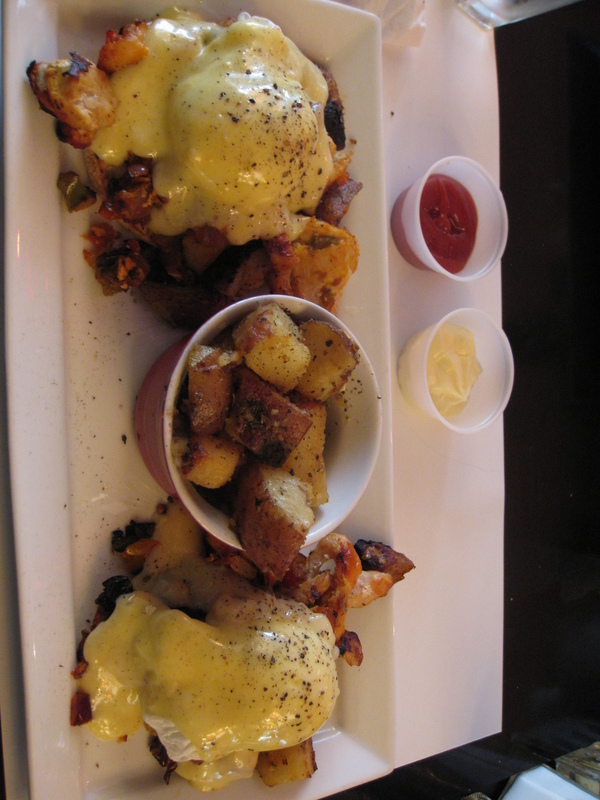 The Benedict Berceau consists of 2 Omega 3 poached eggs, sauteed pieces of chicken, onions, red peppers, potatoes, english muffin and hollandaise sauce with ketchup and mayo on the side. It was scrumptiously delicious! The portions were huge, I finished 75% of the eggs, chicken, onions, and red peppers and half of an english muffin and I was quite full. I didn’t expect myself to be full only halfway through my meal since I was very hungry while waiting in line. I was in awe of the couple beside me who each ordered an eggs Benedict plate and split a crepe. 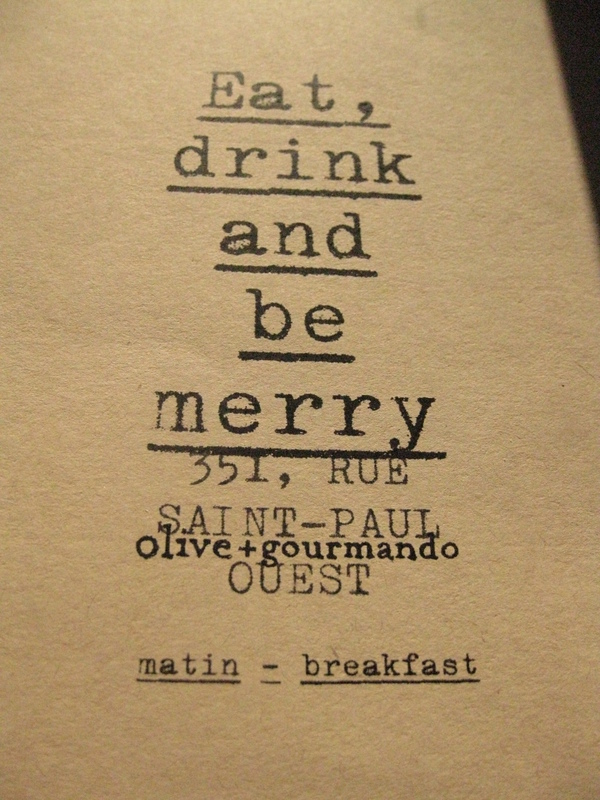 I would definitely come back here again for brunch when I’m in Montreal. My foodie friend in Montreal recommended me to come here for their Cubain panini. 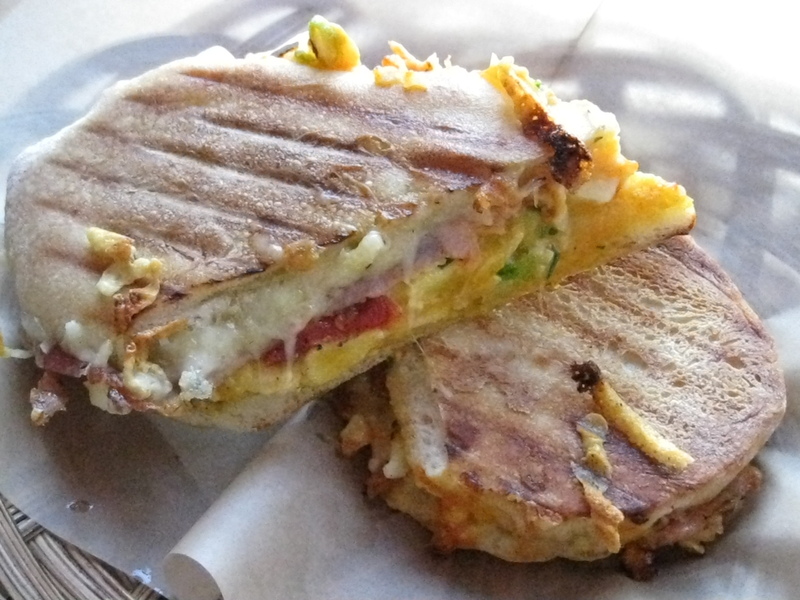 The Cubain panini consists of pancetta, roasted pork, raw milk gruyere, lime, cilantro, chipotle and pickle mayonnaise. Unfortunately, when I went to olive + gourmando, they wouldn’t serve the Cubain panini to me because it’s on their lunch menu and they were only serving their breakfast menu. 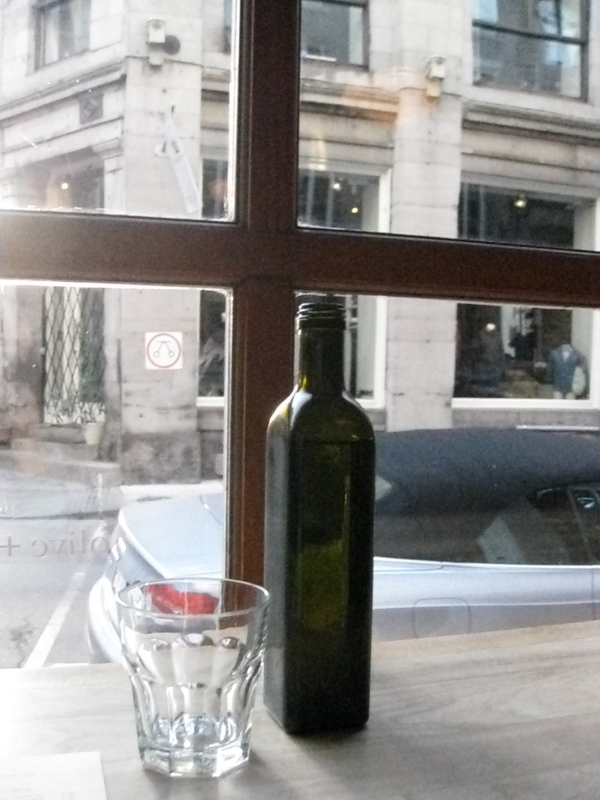 I was in Montreal for the Action de Grace long weekend and olive + gourmando was only open on Saturdays during my trip and I had gone there for breakfast on Saturday since I had a target of a different restaurant per meal in Montreal. 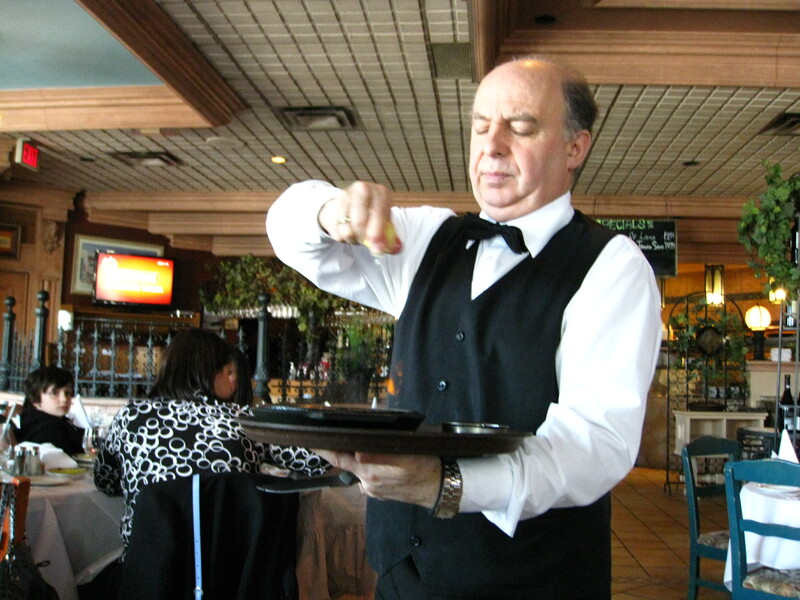 The servers at olive + gourmando were very nice, helpful and welcoming. The decor there is very rustic and reminds me of a cafe. They serve you water in a wine or olive oil bottle. I had the “Poached egg on your face” Panini ($13.74 including tax) which consists of spicy poached eggs with sriracha and herbs, comte cheese, speck pork and roasted tomatoes. It was delicious. It was cheesy and slightly spicy. The egg was cooked perfectly. Speck pork is bacon which just complements the egg and cheese. The bread was the perfect amount of crunchy. You have to line up by the cash register to pay the bill. By the cash register is a large display of their pastries which include croissants, brioche, muffins and scones. The next time I come back to Montreal, I would definitely come back here for lunch and try their Cubain panini. Yesterday, two of my friends and I had dinner at Jerusalem Restaurant on 4777 Leslie Street. 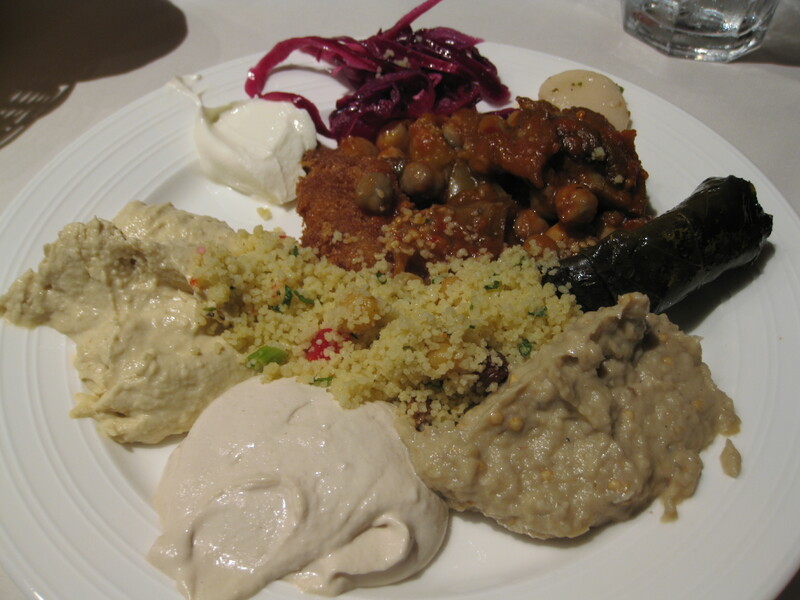 Jerusalem Restaurant is an all you can eat Middle-Eastern buffet. It’s $25 (tax and tip included) on a weekday. On a weekday there’s a belly-dancing performance. The decor reminds me of the Mediterranean area. My friends and I had a booth table. Prior to going there, I read the reviews online and it was very mixed so I was slightly apprehensive. 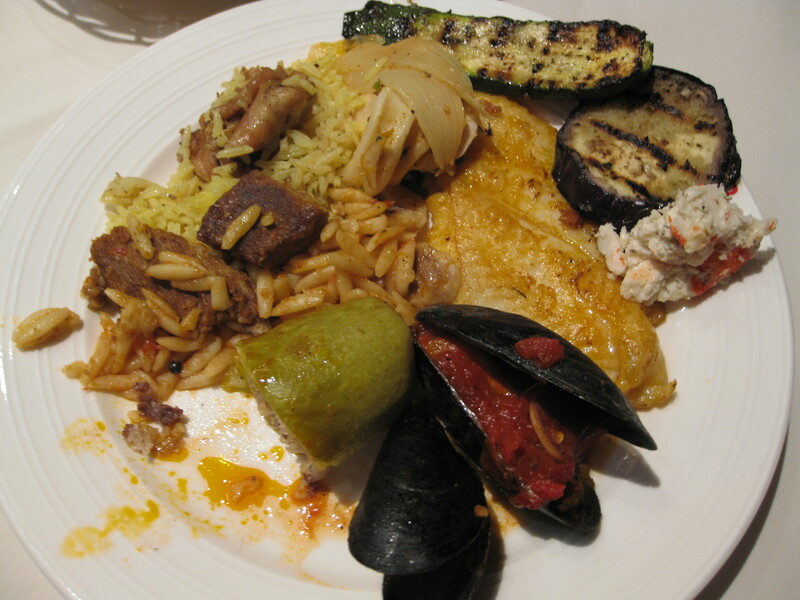 For my first plate, I had calamari, mussel in tomato sauce, sea bass fillet, imitation crab salad, saffron rice with meat, rice with chicken, BBQ zucchini and eggplant and half of a zucchini stuffed with meat and rice. 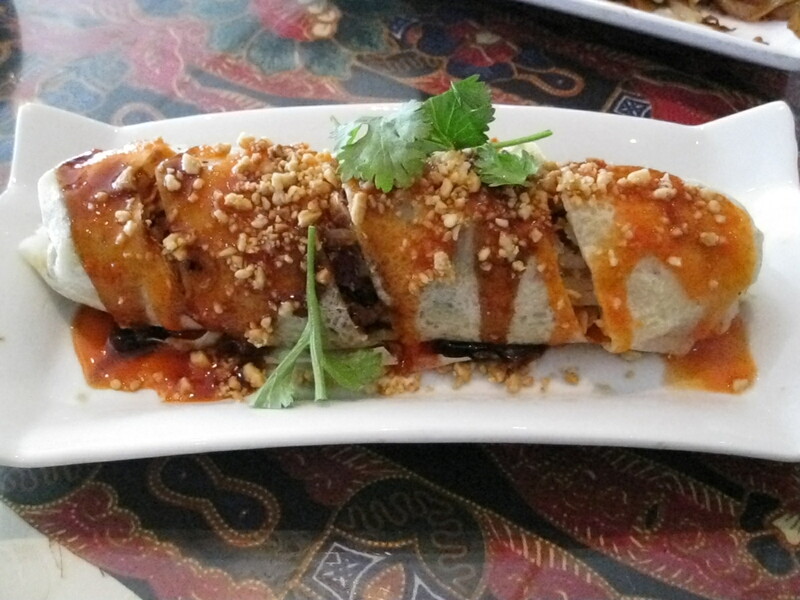 I really liked the zucchini stuffed with meat and rice, it was quite delicious. The mussels, calamari and sea bass fillet were tasty and cooked perfectly. I didn’t like the imitation crab salad, it didn’t taste completely like imitation crab and it wasn’t well-made. The BBQ zucchini and eggplant just taste like BBQ vegetables while the saffron rice with meat and rice with chicken were ok.
For my second plate, I had baba ghanoush, hummus, labaneh, taheena, purple coleslaw, crispy shrimp, chickpeas with eggplant and chili, cous-cous and stuffed grape leaves with rice and herbs. 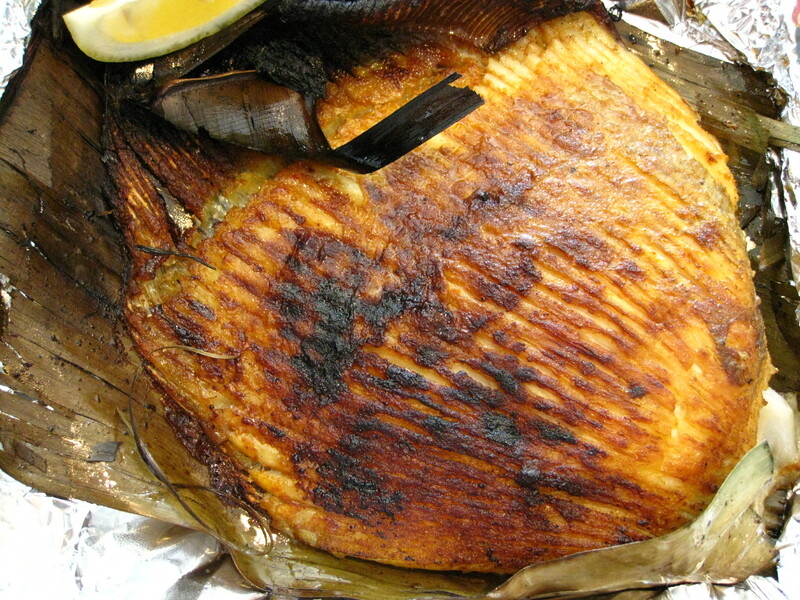 Baba ghanoush is eggplant, taheena sauce, lemon, garlic and olive oil blended together. Hummus is chickpeas, garlic, lemon, taheena sauce and olive oil blended together. Labaneh is homemade strained yoghurt with olive oil. Taheena is sesame seed sauce mixed with lemon and garlic. The baba ghanoush, hummus and taheena were absolutely scrumptious. I’ve had better labaneh at Armenian Kitchen. The purple coleslaw, crispy shrimp and chickpeas with eggplant and chli were ok. The cous-cous and stuffed grape leaves with rice and herbs were delectable. The cous-cous was fluffy and light. I had stuffed grape leaves with rice and herbs at Rodeo Brazilian Steakhouse and it is just as delicious as the ones I had there. 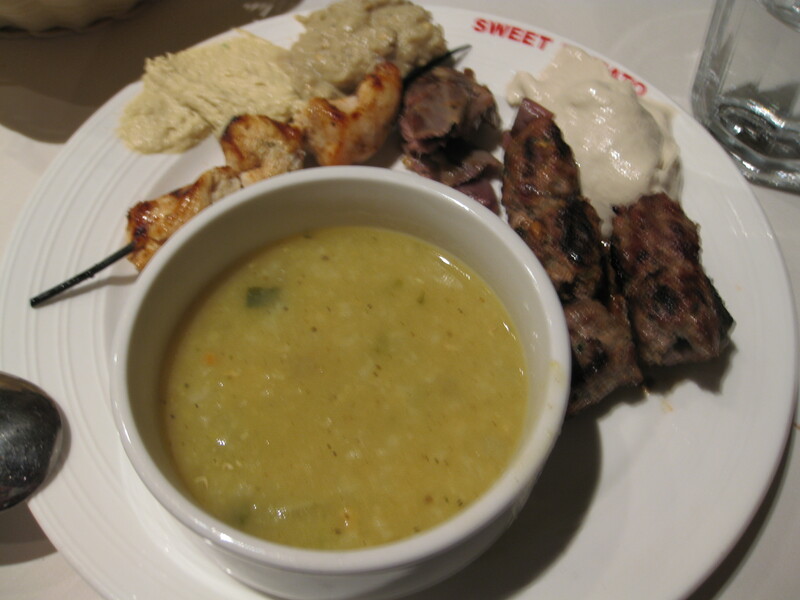 For my third plate, I had lentil soup, chicken skewer, pieces of a lamb shank, kabab (kafta), hummus, babaghanoush and taheena. 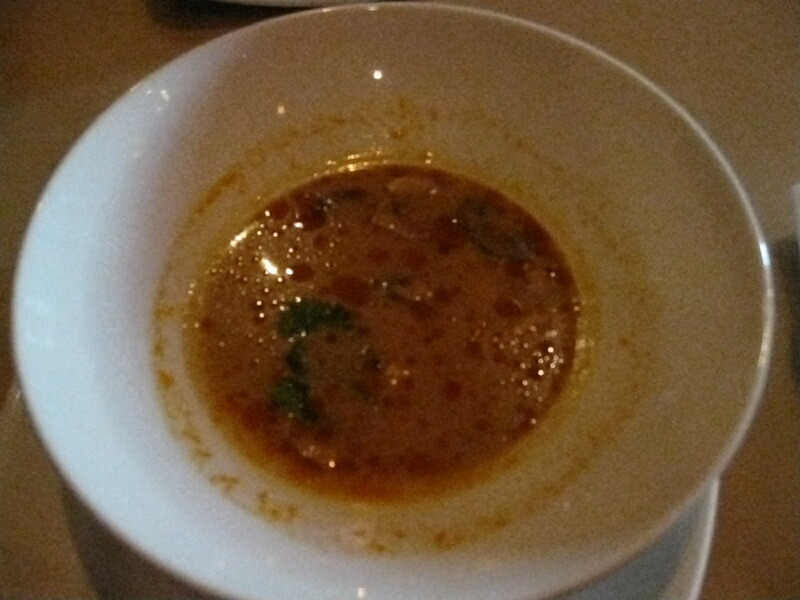 The lentil soup was tasty and enjoyable. I only had pieces of a lamb shank because one of my friends had an entire lamb shank for his second plate and he became very full from it. The portions of the lamb shank are very sizable and quite large. The lamb shank and kabab were tasty. I dipped it in hummus, babaghanoush and taheena which made it scrumptious. The chicken was ok but dipped in hummus, babaghanoush and taheena made it delicious. My other friend told me that anything with hummus and babaghanoush is absolutely delicious and she is correct. My fourth plate was dessert and Jerusalem Restaurant has creme caramel/flan. It was absolutely delicious and mouthwatering. The last time I had creme caramel/flan, it was homemade by my high school friend a few years ago. Overall, this restaurant is alright. It’s not as bad as I thought and it definitely has some delicious offerings. If you’re in the neighbourhood and want Middle Eastern cuisine rather than Asian cuisine, then I would recommend this place. An elementary school friend and I met for dinner on Wednesday in July to catch up. She wanted to eat Thai food and so we went to Linda Modern Thai. I’ve been to this restaurant before. My first experience was when it was still in downtown Toronto. It’s now located at Shops at Don Mills. The decor is alright. We went during Summerlicious so we had their Summerlicious menu (choose 1 appetizer, 1 soup/salad, 1 main and 1 dessert from a set list) which meant dinner was $25+tax+tip. My friend and I had to split the Mieng Kum appetizer because of the restaurant’s Summerlicious policy. 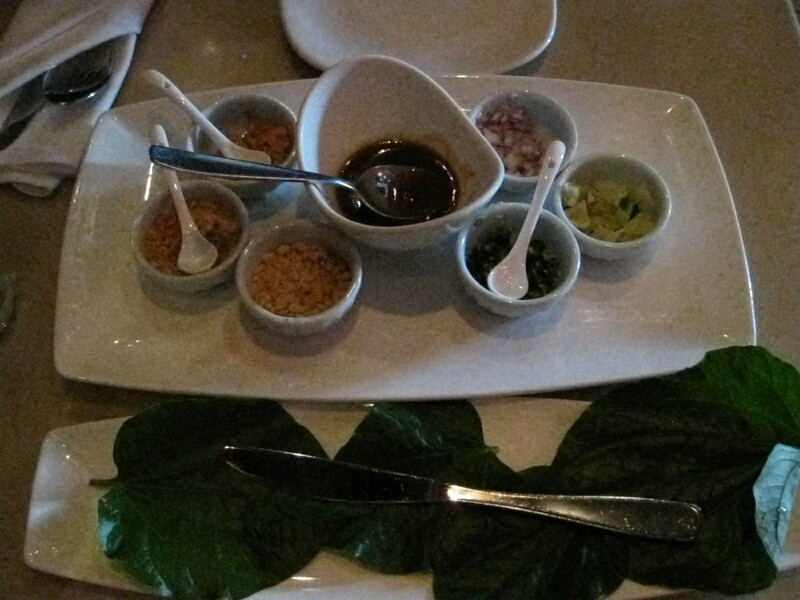 Mieng Kum is peanut, dried shrimp, shallot, lime, chili, shredded coconut and sweet chili sauce wrapped in a betel leaf. I love this appetizer and I have yet to find anything similar at any other Thai restaurant in Toronto and Kitchener/Waterloo. I usually order this appetizer when I go eat at Linda’s with friends or family friends. I had the Chicken Coconut Milk Soup while my friend ordered mango salad. The chicken coconut milk soup has chicken breast, mushrooms, lemongrass, lemon leaf, galangal, chili paste, coconut milk and seafood stock. I enjoyed it although it was more sour than spicy. 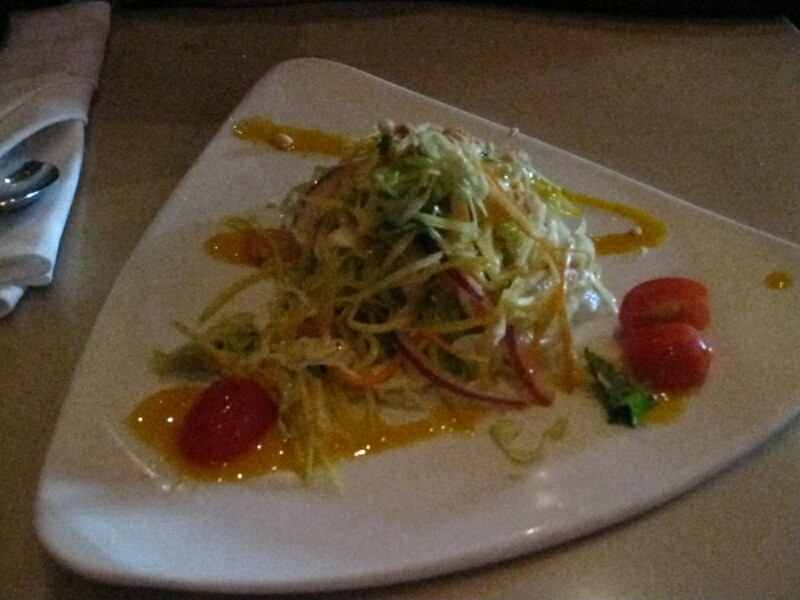 The mango salad has mango, peanut, cabbage, tamotoes, basil, fish sauce, lime juice and mango salad dressing. My friend ordered the Crispy Beef while I ordered the Fried Chicken. My friend didn’t like the Crispy Beef cause the sauce was too rich so we swapped mains. I really liked the Crispy Beef. The Crispy Beef is in a coconut milk and peanut based Penang curry with pieces of crispy beef, bell peppers, Asian basil and lime leaf. 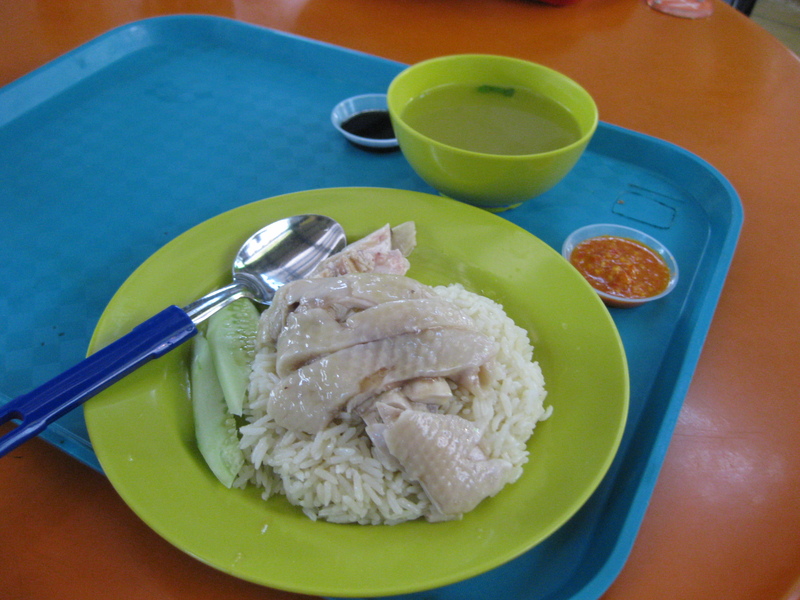 It comes with a bowl of rice. The Fried Chicken is half a fried chicken with peanut mustard sauce, cucumber slices and cabbage. 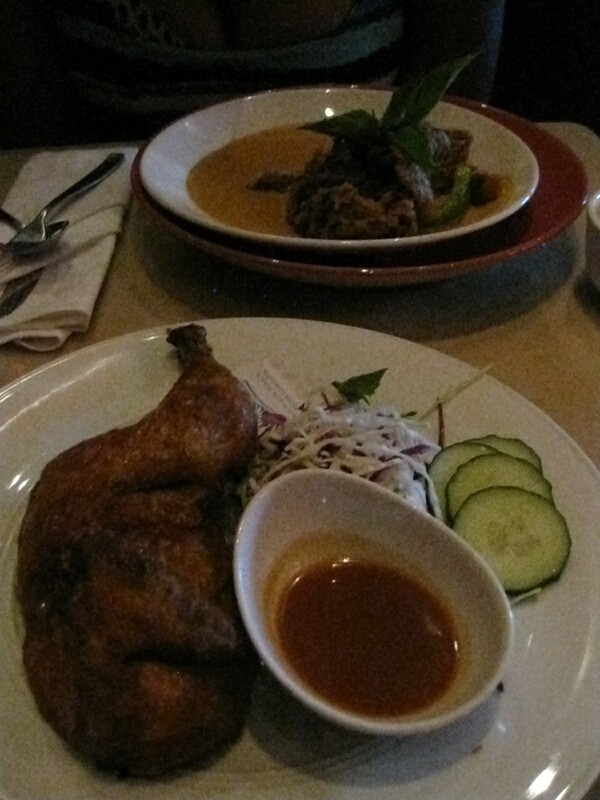 I liked the combination of the fried chicken with the peanut mustard sauce. 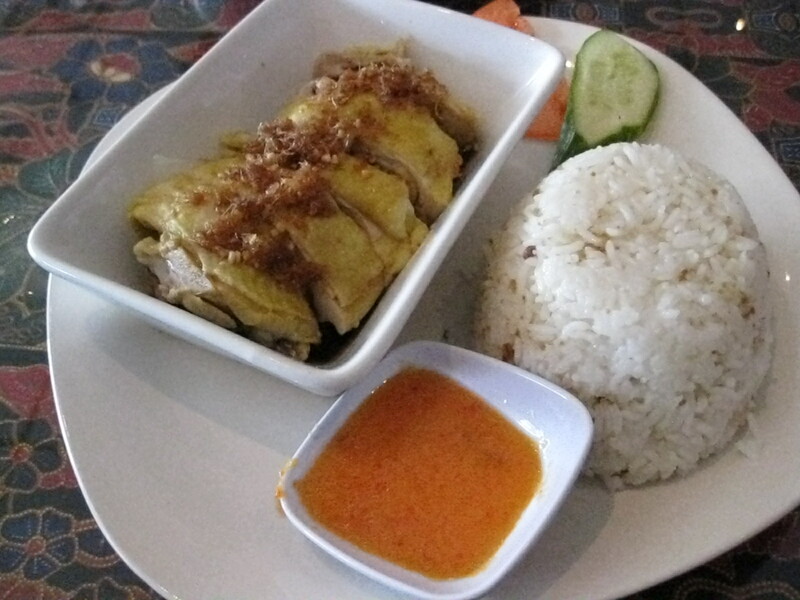 The peanut mustard sauce has a spicy kick to it, almost like wasabi and it went really well with the fried chicken. The cucumber slices and cabbage would help out if you find the kick too overwhelming. For dessert I had papaya ice cream while my friend had the Deep Fried Banana with Honey. 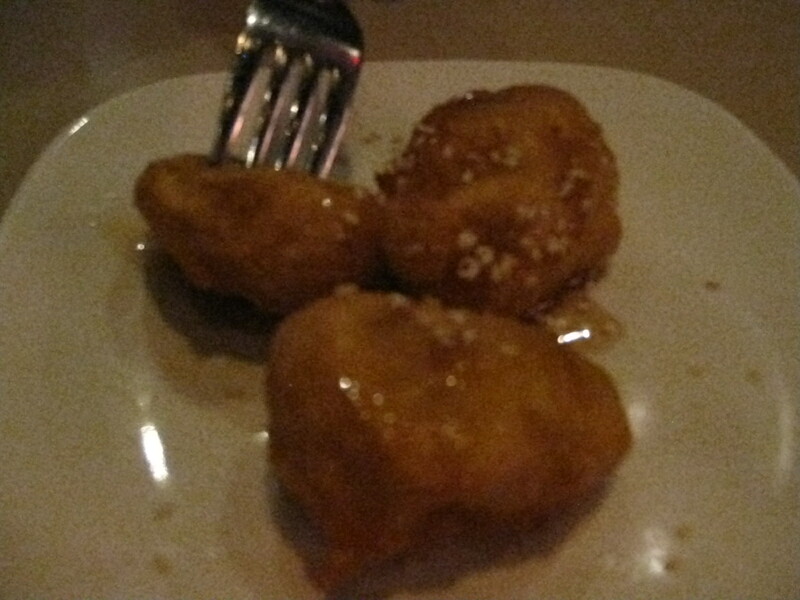 My friend liked the deep fried banana with honey. 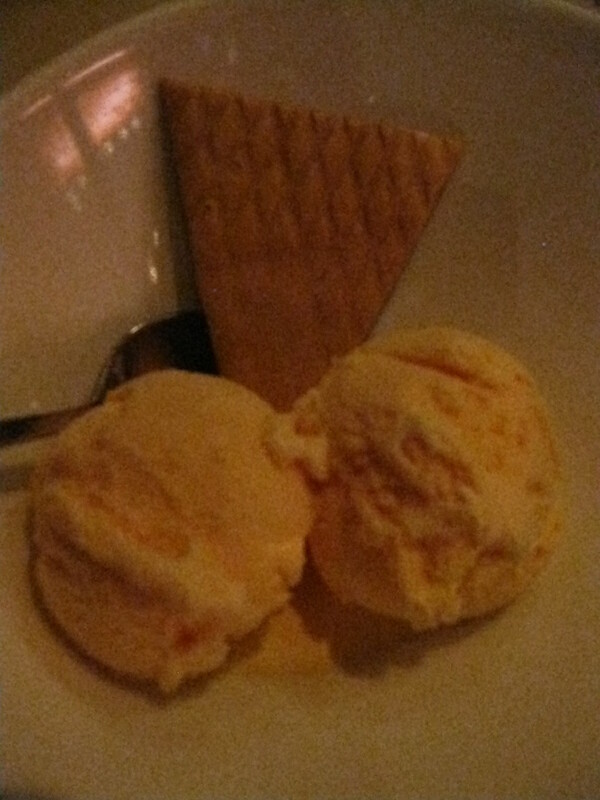 I never had papaya ice cream before and it’s quite refreshing and tasty. Overall, if you’re at Linda’s I recommend Mieng Kum as an appetizer and Crispy Beef and/or Fried Chicken for a main. A friend of mine recommended this restaurant to me. At first I thought my friend was in Thailand when I first saw him posting on Facebook saying that he was at Khao San Road. I thought it slightly strange that he was in Bangkok for a day. Khao San Road is the most touristy area in Bangkok. It becomes almost like a night market at night. There’s alot of restaurants and shops on that road. 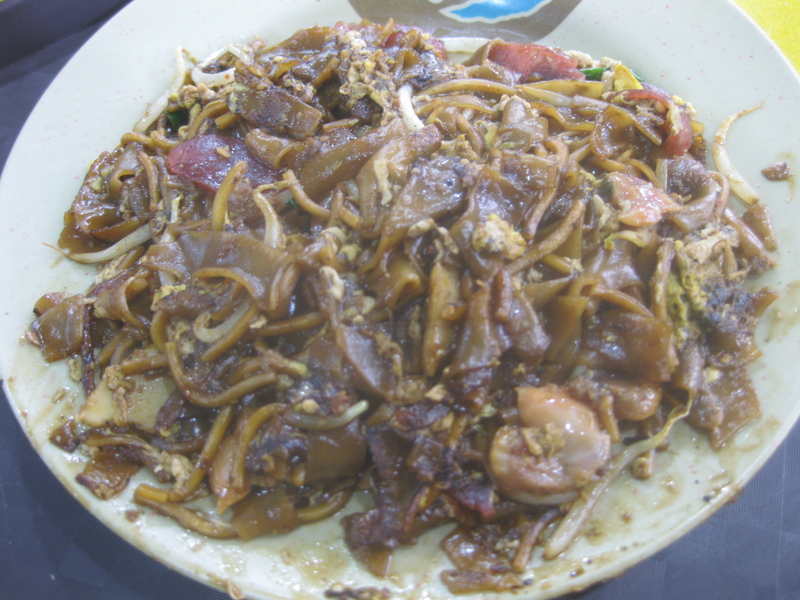 The street food includes pad thai and shawarma. You could get fake ID there too. The restaurant in Toronto is quite small and it doesn’t take reservations so you could wait for awhile for a table. I’ve been there twice already with two different friends. 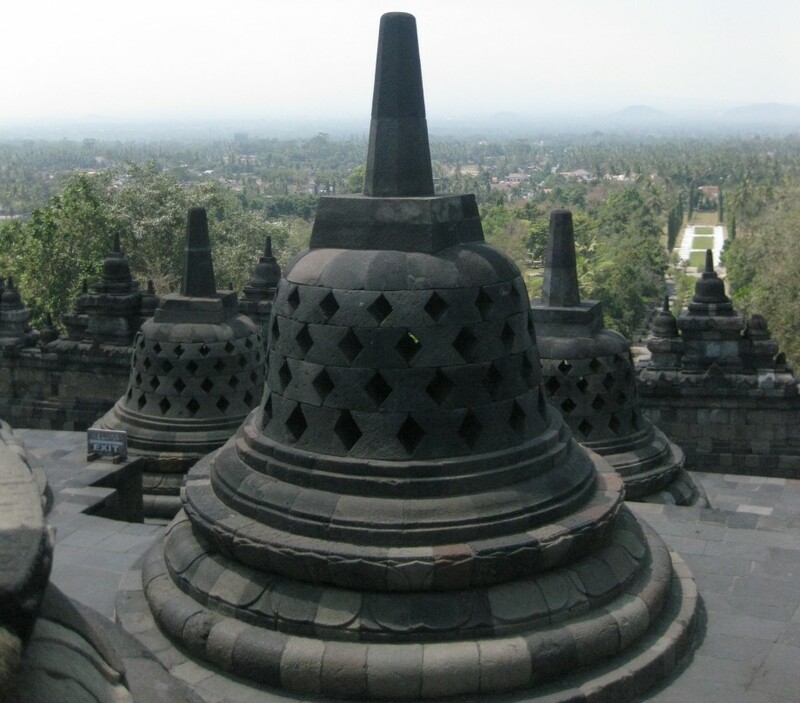 Fortunately, we didn’t have to wait long the two times I’ve been there. 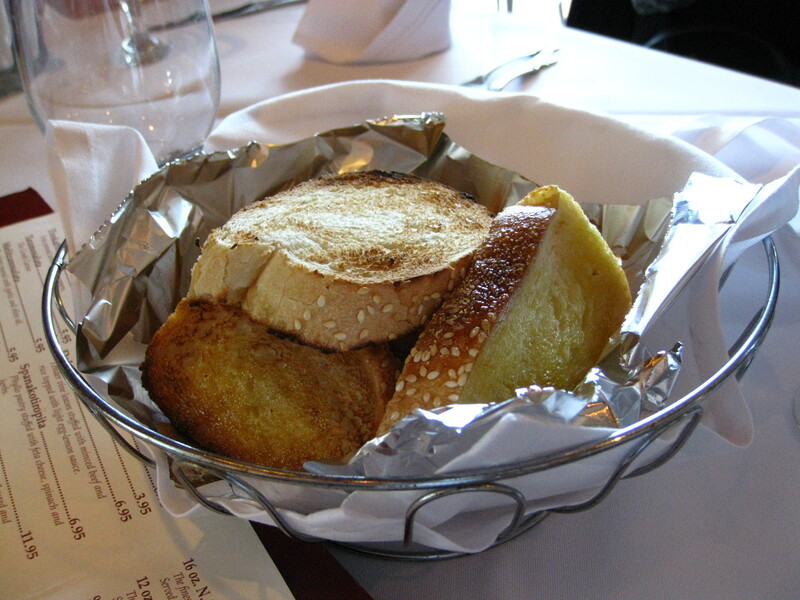 The first time I went there, my friend and I split an appetizer and each ordered our own main dish. My friend and I split the Gra Bong ($10). My friend ordered Gaeng Kaew Wan ($13) while I ordered medium spicy Chef Special Pad Thai ($15). 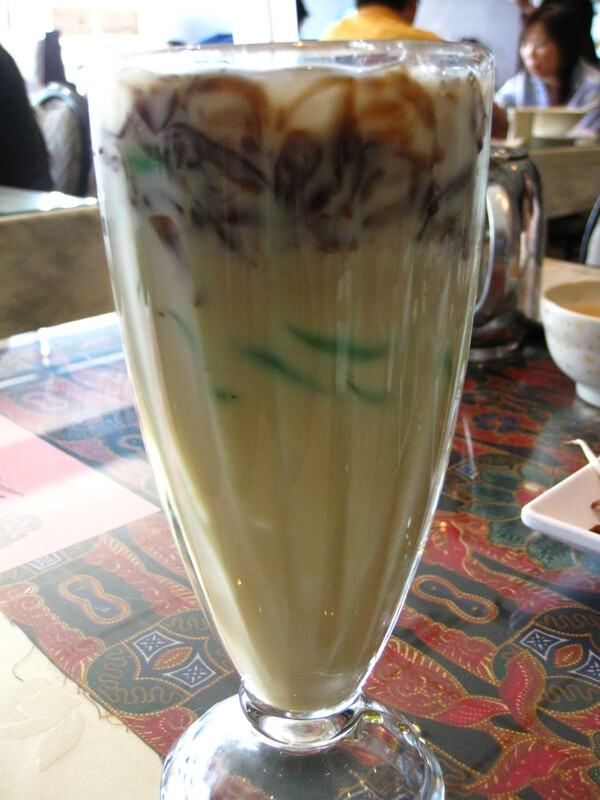 I also had Cha Nom Yen ($4.5). 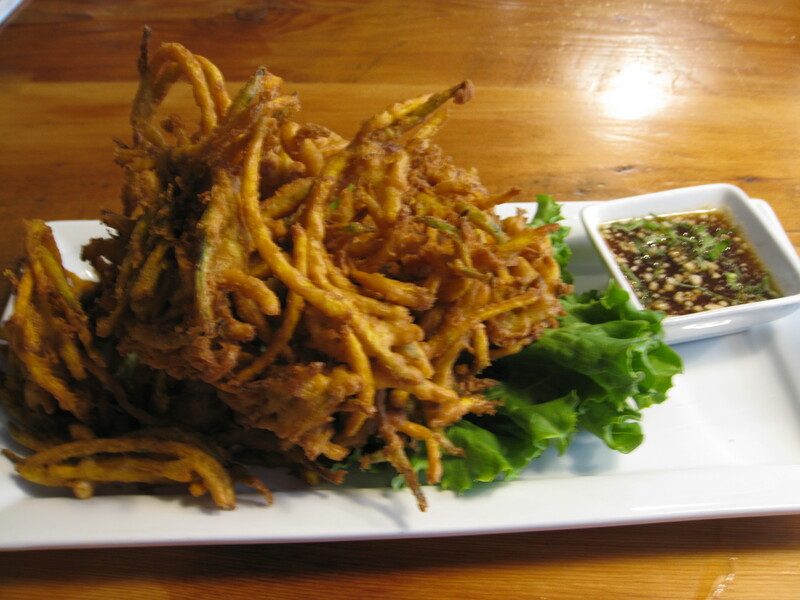 Gra Bong is squash fritters with wild ginger, lemongrass and red curry sauce. It reminded me slightly of bird’s nest however it tastes quite good. 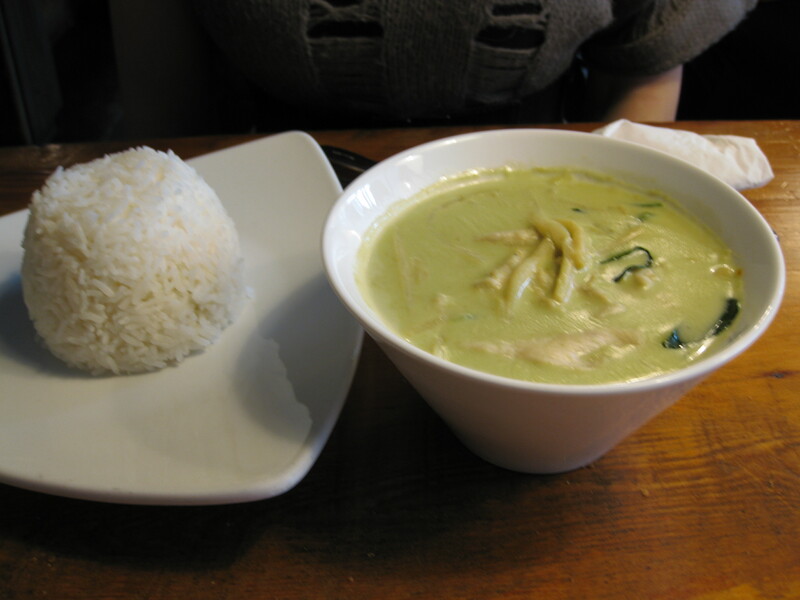 Gaeng Kaew Wan is green curry with bamboo shoots, green peppers, Thai basil, kaffir lime leaves and rice. Chef Special Pad Thai is stir-fried rice noodles with egg, tofu, beansprouts, chives, tamarind sauce, roasted peanuts, dried chili, and lime juice. I enjoyed it. The medium spicy level was ok for me, I didn’t find it too spicy. 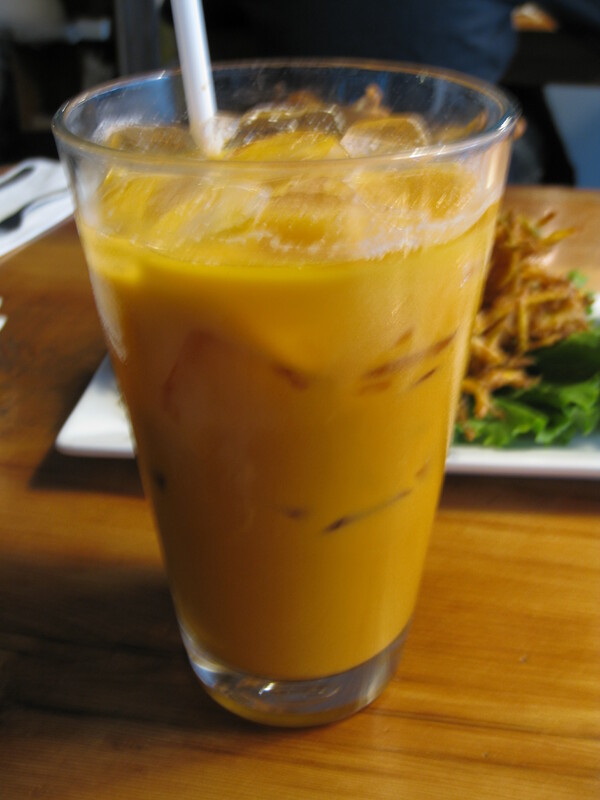 Cha Nom Yen is Thai Iced Tea. It’s just as authentic as the ones I had in Bangkok. 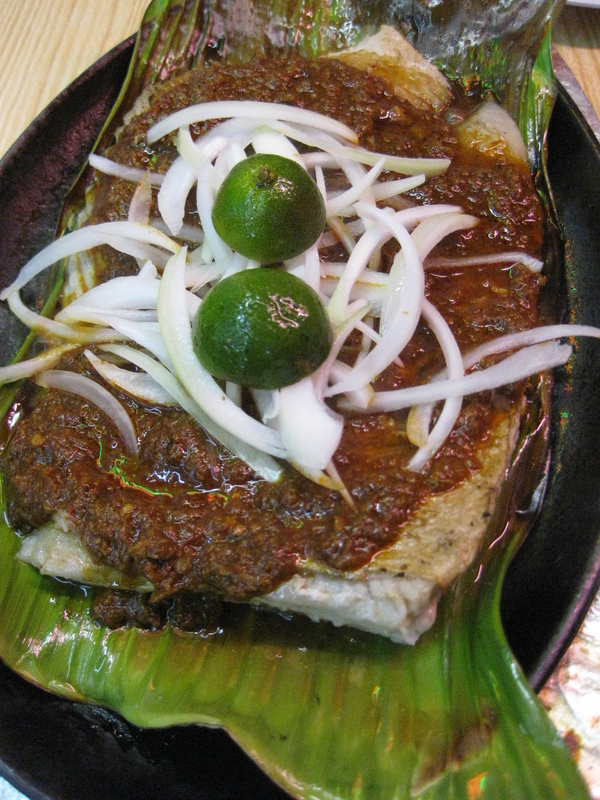 The second time I went there, my friend and I ordered our own main dish. 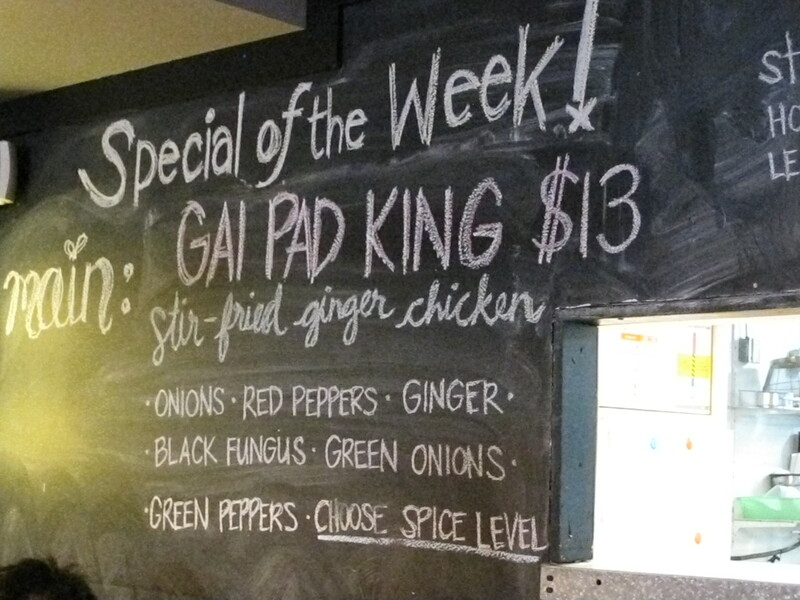 My friend had the medium spicy Street Style Pad Thai ($14) while I had the weekly special, Gai Pad King ($13) with a spicy level of Thai spicy. We both ordered Cha Nom Yen. 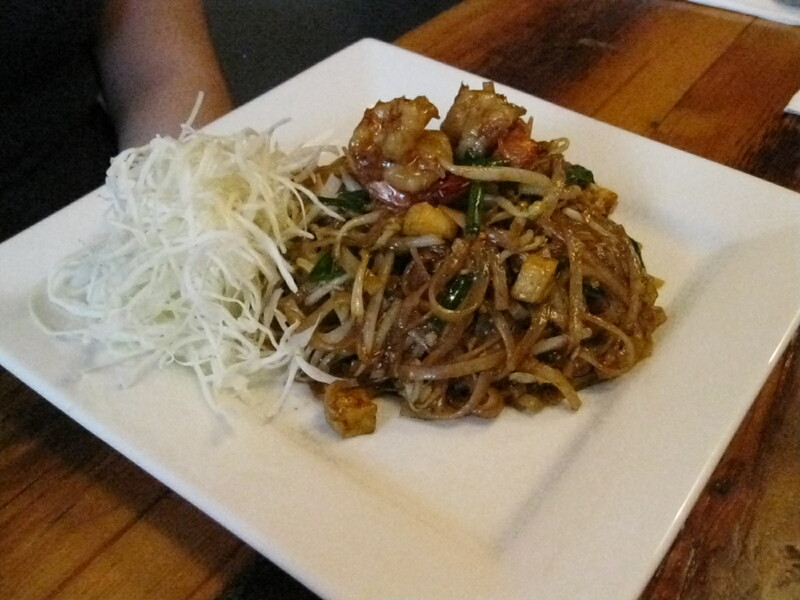 Street Style Pad Thai is stir-fried rice noodles with shrimp, egg, tofu, beansprouts, chives, and tamarind sauce. My friend found the medium spicy Street Style Pad Thai to be slightly too spicy for her so the dish wasn’t as enjoyable for her as it was for me. 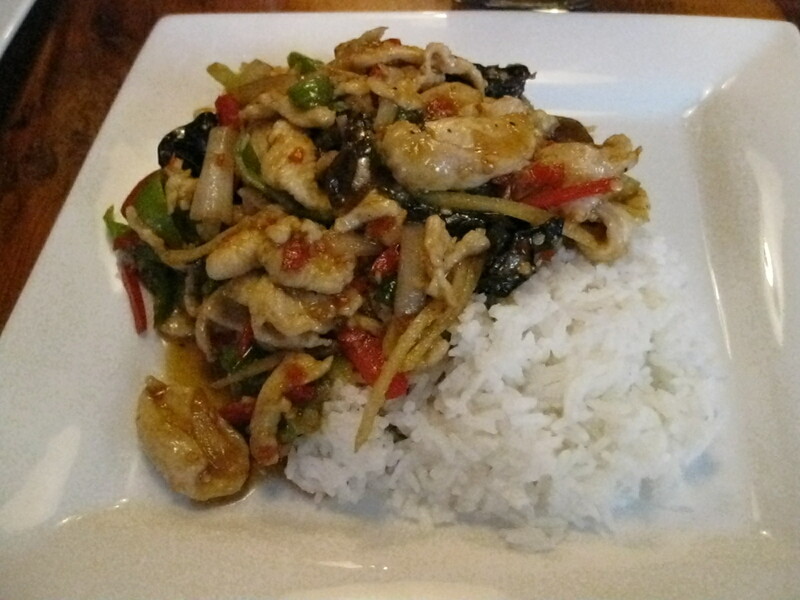 I found the Thai spicy Gai Pad King to be too spicy for me so it wasn’t enjoyable for me compared to my first experience. Overall, Khao San Road Restaurant is quite an authentic restaurant and I recommend it if you’re in downtown Toronto and in the mood for Thai food. My family friends and I went to Thai Fusion for dinner back in January. My family friends usually order take out from the restaurant however this time around we were eating at the restaurant. It’s an affordable Thai restaurant in East York, close to Danforth Ave. We ordered five different appetizers and dishes. We had the sticky rice with peanut sauce ($3.95), crispy fusion ($10.95), shrimp pad thai ($9.95), spicy thai eggplant ($7.95) and tamarine beef curry ($9.95). 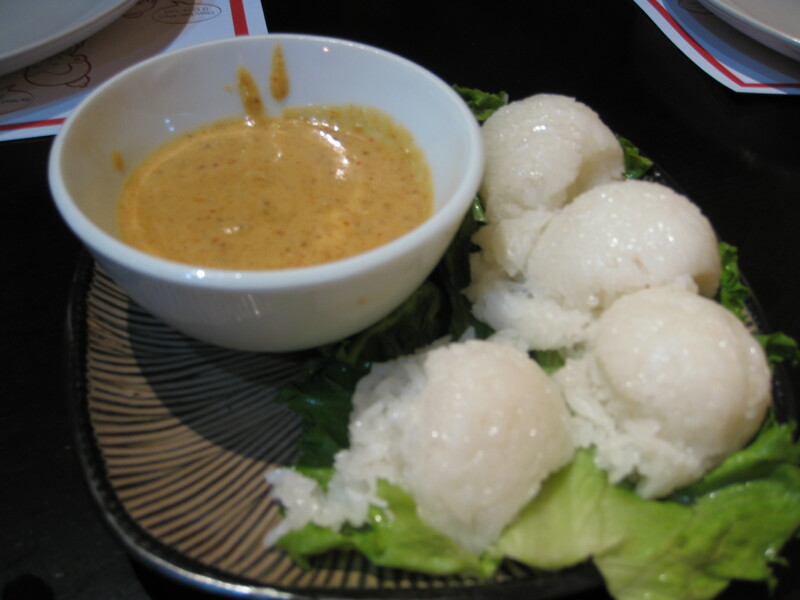 The sticky rice with peanut sauce is exactly that, a bowl of peanut sauce (I wouldn’t recommend this dish to anybody with a nut allergy) and sticky rice rolled up into these cute little balls. The sticky rice wasn’t as sticky as I thought it would be. I thought the sticky rice would be similar to the glutinous rice wrapped in bamboo leaves that’s prevalent during the Chinese Dragonboat Festival or at dim sum restaurants. 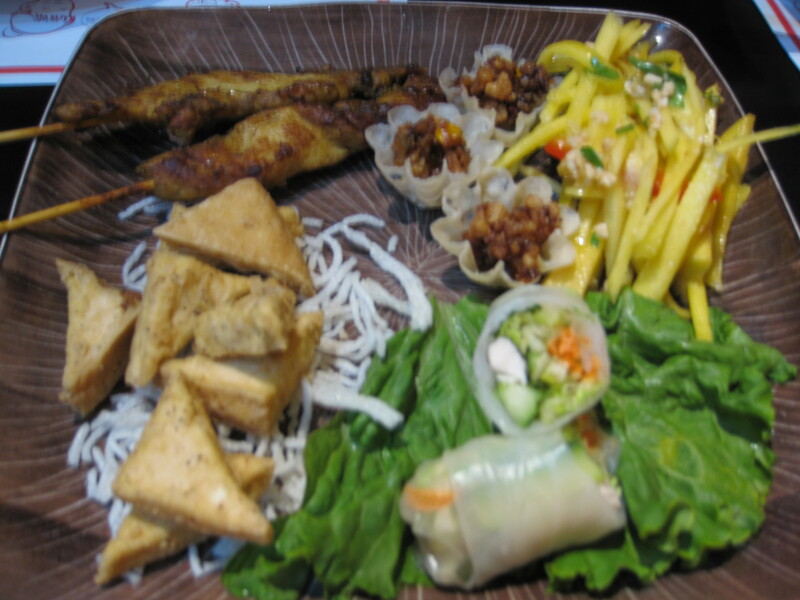 Crispy Fusion includes 2 chicken satay, 2 fresh rolls, 3 Thai baskets, 2 deep fried tofu and mango salad. Fresh rolls are a kind of rice pastry that’s filled with shredded chicken, cucumber, carrot, basil and mint leaves and it’s served with sweet and sour sauce. I liked the mango salad, fresh rolls and Thai baskets. 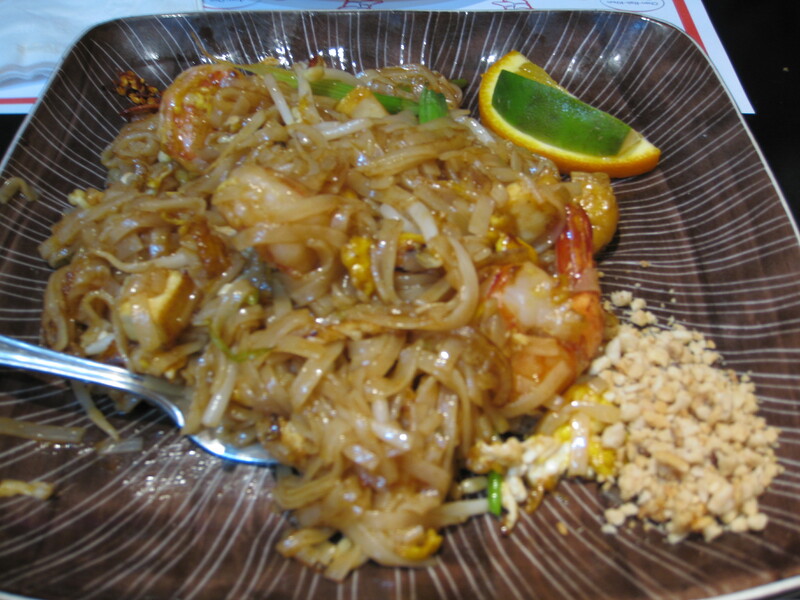 Shrimp pad thai consists of shrimp, eggs, tofu, bean sprouts, tamarind sauce and fried rice noodles. The peanuts are served on the side along with a wedge of orange and lime. 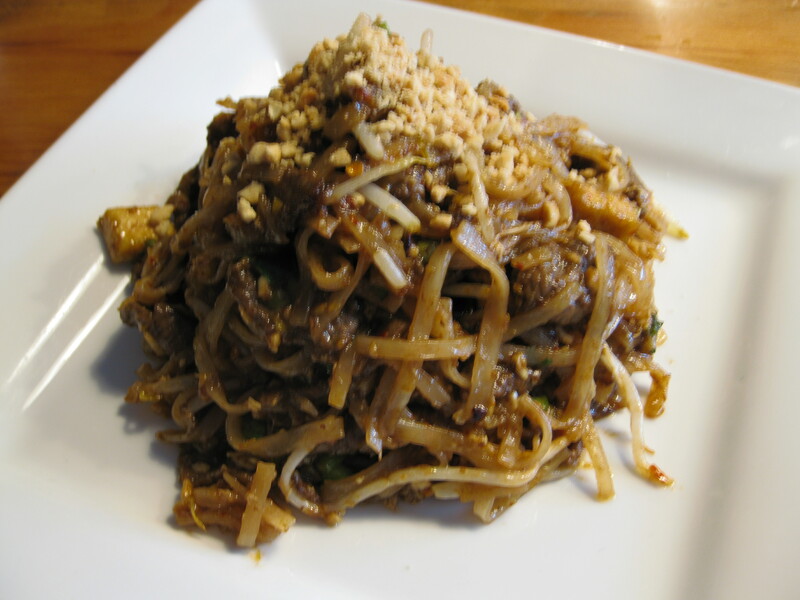 The pad thai is delicious but not as good as the one I had in Bangkok, Thailand. 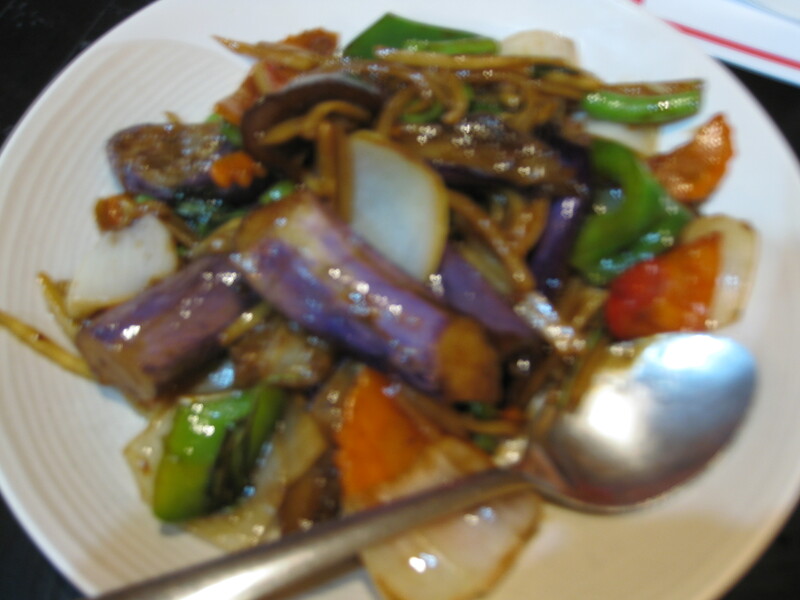 Spicy Thai Eggplant consists of stir-fried eggplant, onion, chili, red and green peppers and basil leaves. I really liked it. I prefer ordering eggplant when I eat out since I don’t know how to properly cook it or select the best eggplant when grocery shopping. 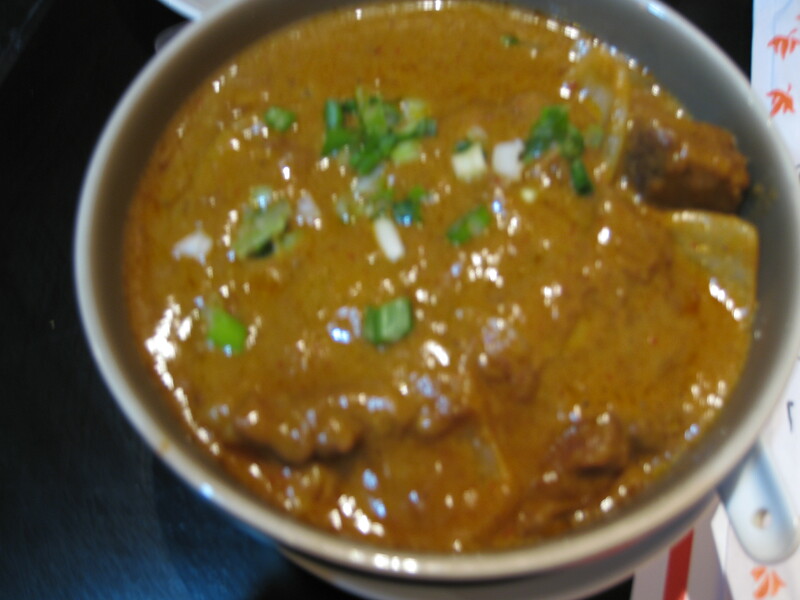 Tamarine beef curry comprises of beef in a spicy coconut milk curry sauce with tamarine juice, potatoes, roasted peanuts, onions and tomatoes. It was my favourite dish out of the five dishes we tried. It goes very well with the shrimp pad thai. The next time I come here, I want to try their banana and jackfruit fritter. 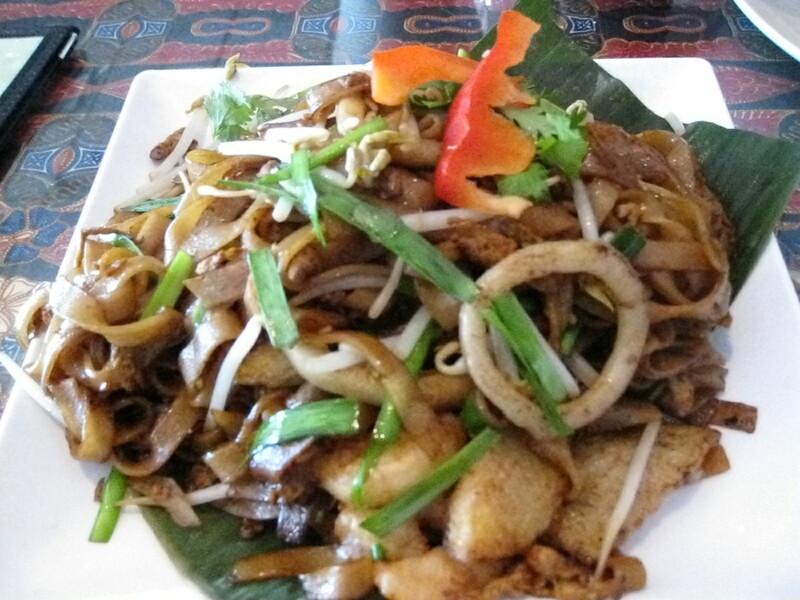 Overall, if you’re in East York and you have a craving for Thai food, this is a delicious and affordable place to go to. My friend and I decided to try Greek cuisine for lunch on my birthday. The decor is nice and quite rustic. 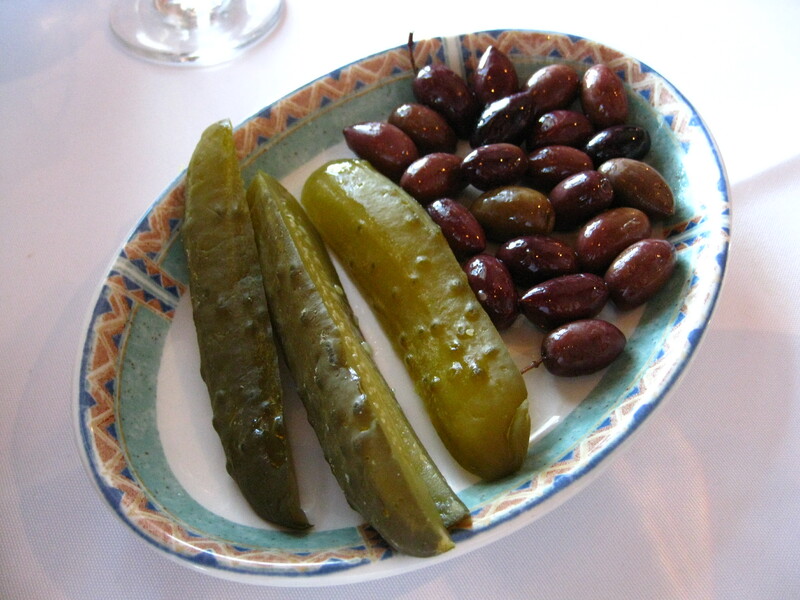 Once we ordered, we were given pickles, olives and garlic bread. The garlic bread was delicious. 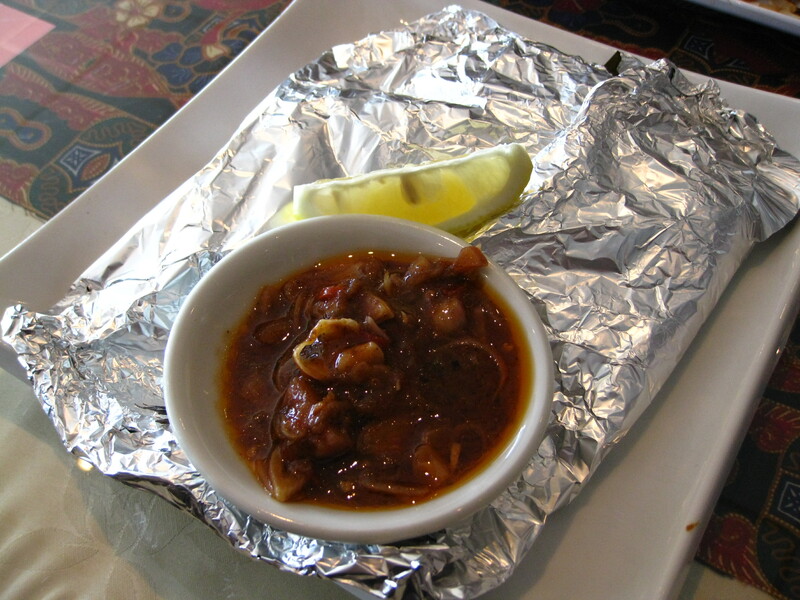 We decided to share the Saganaki ($10.95) and Spanakotiropita ($6.95). 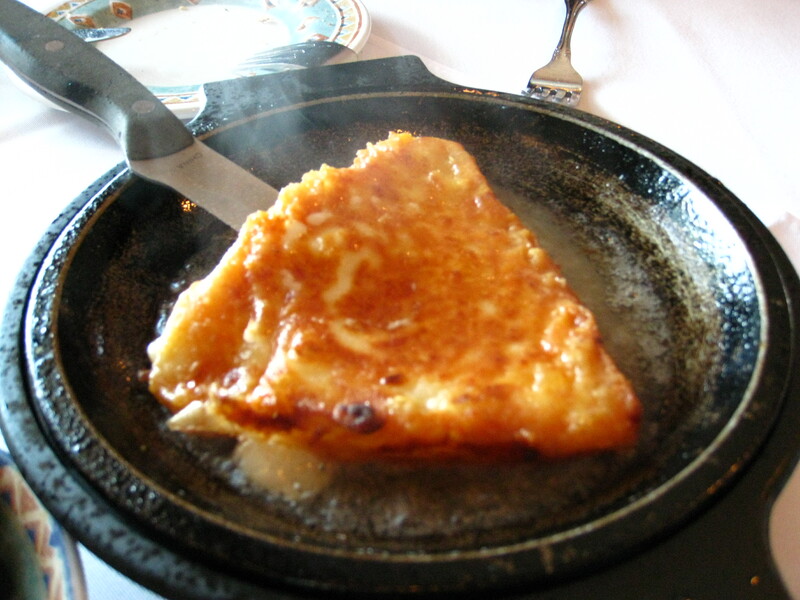 Saganaki is flambeed wedge of delicately floured cheese. It’s delectable. 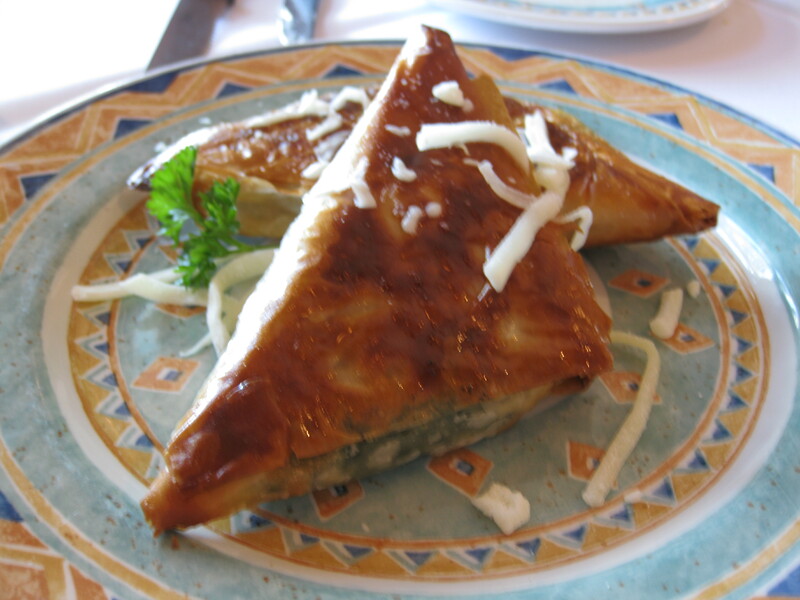 Spanakotiropita is a phyllo pastry stuffed with feta cheese, spinach and herbs. It’s scrumptious. I love the combination of feta cheese and spinach. I got the Mousaka ($11.95). 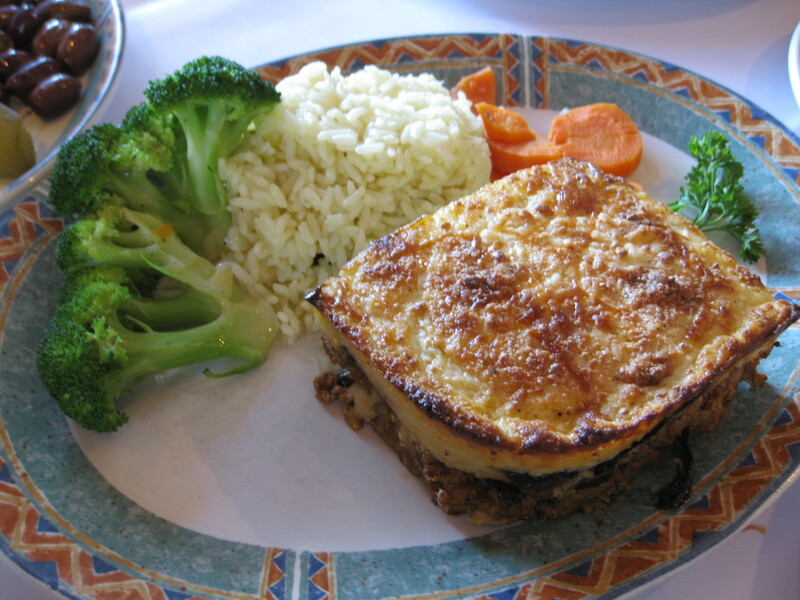 Mousaka has pan fried eggplant, potatoes and ground beef and it’s topped with bechamel sauce. It also comes with salad, rice and vegetables. It was appetizing. I couldn’t finish it so I was able to have leftovers for the next day’s dinner. My friend ordered the Gyro in a pita ($9.95). Gyro in a pita comes with fries however my friend changed it to a salad instead so that it’s a healthier dish. My friend insisted that we get dessert because a birthday celebration isn’t complete without cake or pastry. We decided to get Galaktoboureko. 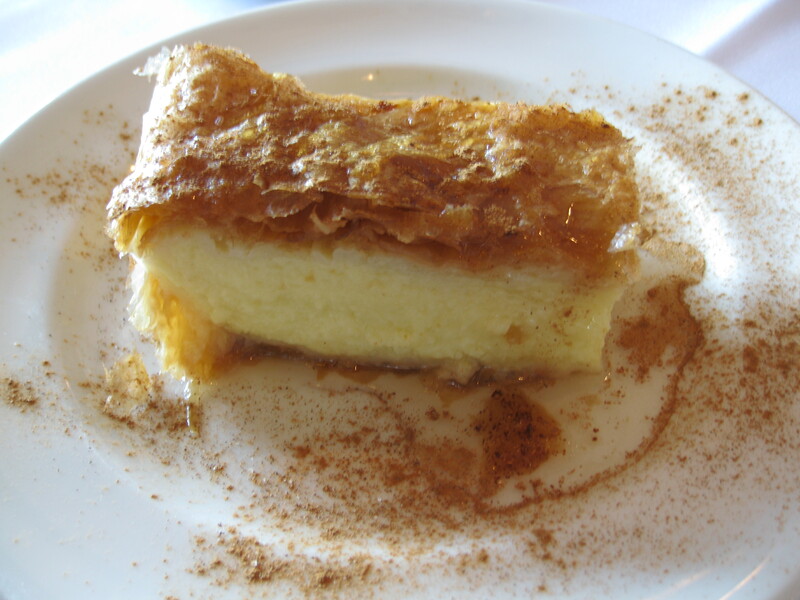 Galaktoboureko is a phyllo pastry filled with custard. It’s very sweet and tasty. The cinnamon adds a nice dimension to the flavour. Overall, if you want Greek cuisine in Toronto, this is a good restaurant to go to. 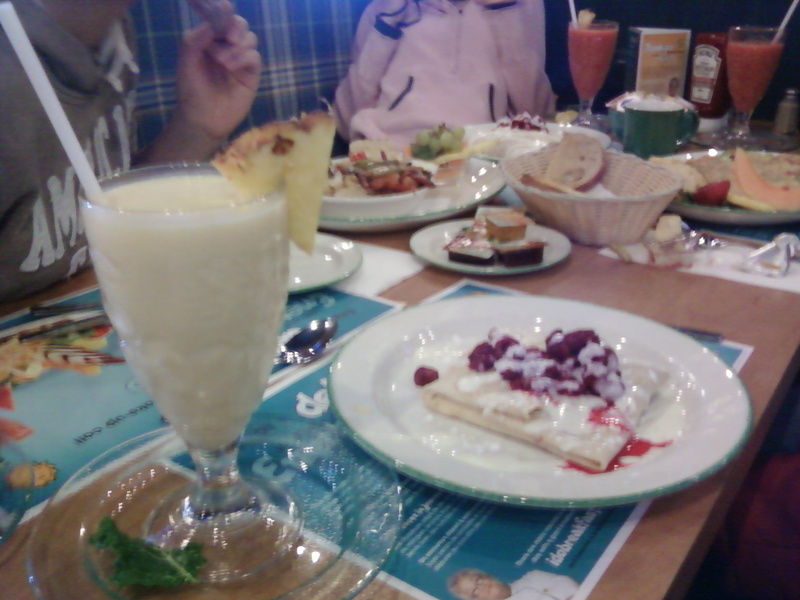 My friends and I went to Cora’s for brunch several times back when we were in second and third year of university. Mel’s wasn’t rebuilt yet back then. At my last visit to Cora’s, I went with one of my Computer Science friends and a few of my Engineering friends. Nothing like brunch with friends! I ordered the Raspberry 4 Lucie crepe and a fruit cocktail. Raspberry 4 Lucie is a crepe filled with cream cheese and raspberries which is topped with English cream, honey and raspberry coulis. Two of my Enginnering friends decided to split 2 dishes so they could have more variety. One of the dishes was Raspberry 4 Lucie. I liked the Raspberry 4 Lucie although it could be improved if they mixed the cream cheese and raspberries more so that it’s evenly spread throughout the crepe’s filling. I would have also appreciated the crepe more if there was more English cream and honey on top of the crepe. One Engineering friend also liked the Raspberry 4 Lucie because her portion of the crepe was predominantly filled with raspberries so she like the filling ratio of raspberry to cream cheese. 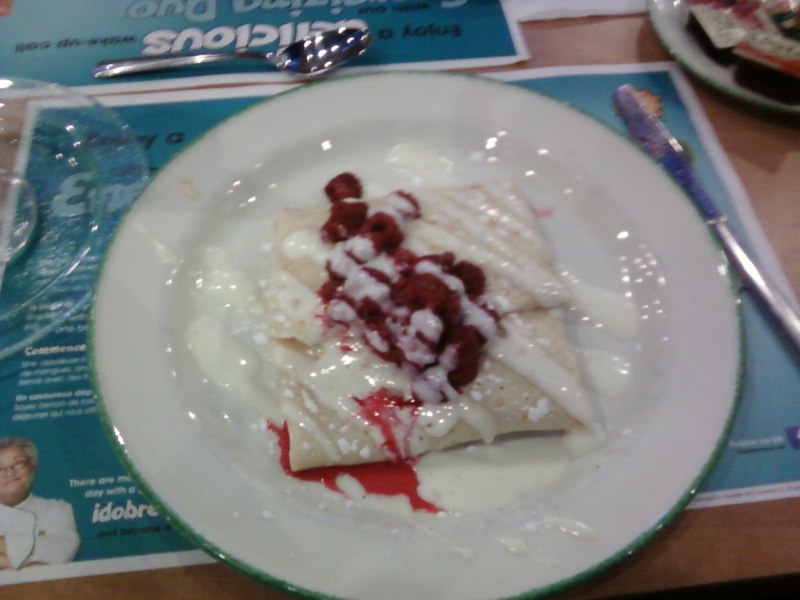 The other Engineering friend didn’t like it because the filling was mostly cream cheese for her portion of the crepe. Cora’s is nice for brunch albeit slightly pricey on a student budget.